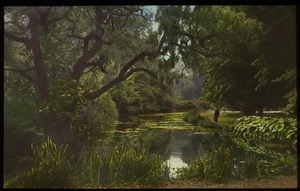 Pelham (Mass.) 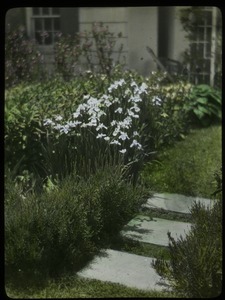 - Hand-colored image of hollyhocks in side garden with house in background. 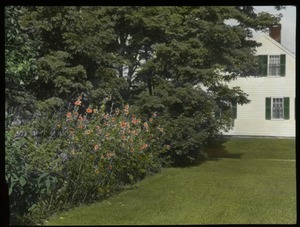 Amherst (Mass.) 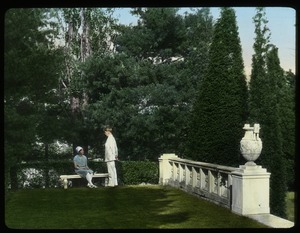 - Hand-colored image of young man and woman on grassy terrace in formal garden; woman seated on stone bench near stone fence; part of the Roman garden built for A.H. Dakin in about 1912..
East Molesly (England) - Hand-colored image of pond and gardens. 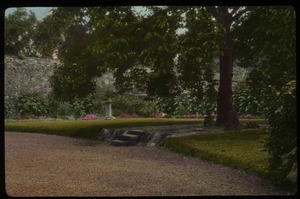 Canterbury (England) - Hand-colored image of gravel drive, lawn, and elegant garden bounded by a large stone wall. 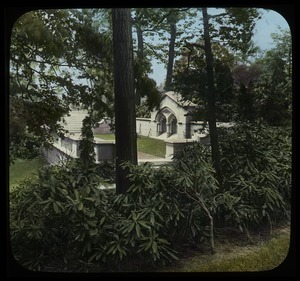 Glendale (Mass.) 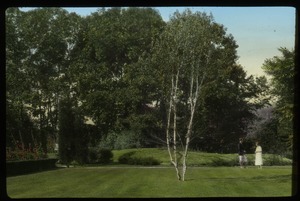 - Hand-colored image of lawn and gardens with specimen birch and couple talking in background. Amherst (Mass.) 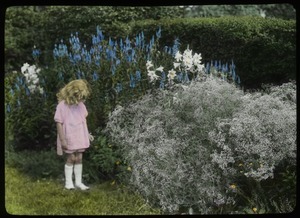 - Hand-colored image of young girl in a lush garden, possibly in Amherst. 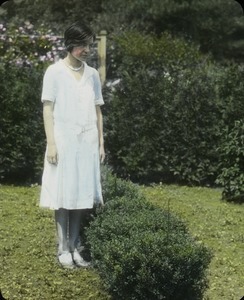 See same girl in image 422. 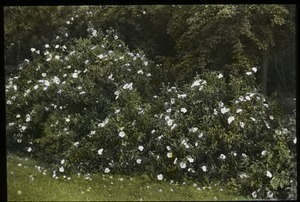 Richmond (England) - Hand-colored image of rockrose growing at Kew Gardens.